Beautiful debut album from the incredible Celia, conducted & arranged by Arthur Verocai and Rogerio Duprat and featuring songs by Lo Borges, Antonio Adolfo and Joyce amongst others. 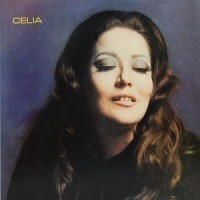 Celia recorded four self-titled albums for Continental between 1971 and 1977, ‘Amor’ in 1982 plus several more before she sadly passed away late in 2017, aged 70. Celia was a Brazilian vocalist who worked frequently with master arranger-composer Arthur Verocai in her early years and many other heavyweights over the course of her extensive career. Joyce was particularly supportive in the making of this album, writing the beautiful “Abrace Paul McCartney” and her husband at the time, Nelson Angelo, recorded some of the songs.